India has had won this ODI series. But did very bad performance in 4th ODI in the absence of Virat Kohli and MS Dhoni. India has had won 3 matches of this ODI series. 1st ODI, 2nd ODI, and 3rd ODI. But lost 4th ODI. 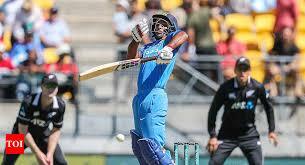 MS Dhoni came back for 5th ODI. There are so many crickets series have been played in this season. Such as Sri Lanka tour of Australia, Pakistan tour of South Africa and England tour of West Indies 2019. All the teams are preparing them for Cricket World Cup 2019.